When Will Courts Hear Child Testimony in Family Law Cases? Numerous studies have supported the finding that divorce negatively affects many children. Certainly, the degree of the impact is likely related to the age of the child when the divorce occurs and the child’s ability to understand the situation, though it is hard to handle a parent divorcing at any age. However, once a child is old enough to have some capacity to grasp that his/her parents are no longer together, many will express an opinion about which parent they would prefer to live with primarily. There is no denying children are a central issue in divorce, and the outcome will unavoidably directly affect their life. Based on this situation, some parents, and sometimes the child him/herself, want the judge to take the child’s wishes into consideration. While a child’s input could provide the court with some valuable information, most judges tend to shy away from this situation because of the potential for a parent to influence the child’s statement, as well the possible detriment of being exposed to the legal process. However, children are permitted to testify in some cases, and teenagers, in particular, are more likely to be given a voice in child custody matters. Judges have complete discretion in deciding this matter, but there are some guidelines courts can use to assess whether child testimony is advisable. An overview of the circumstances that would make a court more likely to permit a child’s testimony, and a review of the guidelines courts can use to determine if a child’s testimony is appropriate, will follow below. Generally, courts will only seriously consider hearing a child’s testimony if it is the only way to get important evidence into the case. However, even with that standard, unless the child is at least 12 or 13 years old, the likelihood the court will allow the testimony is extremely small. Courts have a legitimate worry about the competency of the child to testify, which requires the child be of sufficient age and maturity to make independent decisions and understand the implications of what he/she is saying. Further, even if the child is viewed as sufficiently mature, situations of domestic violence where the child is the only witness are one of the few circumstances where a child’s testimony would be given due consideration. Older teenagers, though, are given more leeway to testify about custody issues since they usually have the ability to understand the legal process and separate themselves from the dynamics of their parent’s marriage. how the child would be affected by providing testimony. To minimize stress on the child, many judges will speak with the child directly and out of the presence of his/her parents, known as in camera, in hopes of reducing any pressure the child may feel to favor one parent over the other. The best option, though, is to keep children out of family law cases as much as possible. Guardians ad litem or other court-appointed advocates can usually provide the same information, and save the child from the trauma of having to appear at a court proceeding, an option judges would likely support. The best stance to take on this issue is to assume the judge will not allow child involvement, which is by and large the case, and instead work with an attorney to find alternatives that can convey the same evidence. Divorce brings up a lot of emotions for everyone involved, and it is easy to become overwhelmed by the complexity of the legal process to end a marriage. Finding an experienced family law attorney that will listen and strongly advocate for your interests is the most effective way to move through the divorce process efficiently and reduce unnecessary stress. The Tampa Bay law firm All Family Law Group, P.A. strives to settle divorce cases amicably, but are well-prepared to present your interests in court. 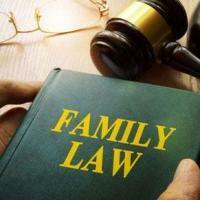 Contact the Tampa divorce attorneys and family lawyers at All Family Law Group, P.A. in Tampa Bay at 813-816-2232 for a consultation at no charge or email us.